When Pixel XL 2 leaked last month, I was glad to see Google had done the smart thing and shrunk the ginormous wasted bezels. Unfortunately, it seems the company isn’t giving the smaller Pixel the same treatment. GSMArena appears to have gotten a hold of a couple leaked images of the device, and it looks… unremarkable. At lease Google managed to fit some stereo speakers in there, but that’s still no excuse for the massive bezels in 2017. Huawei’s Mate 9 manages to have a stereo speakers and smaller bezels. Apples’ imminent iPhone 8 is expected to have them, as well as the aforementioned Pixel XL. It seems odd Google couldn’t manage something a little more palatable on its smaller model. I don’t know about you, but I would much rather Google forget the stereo setup and give us a larger screen. Stereo is nice and all, but people don’t tend to listen to music on their phones out loud for extended periods of time. There’s no dual camera setup either, or any other notable updates we can tell (aside from the usual spec bump). Worse yet, the leaker says the phone has no headphone jack, because of all the things Google chose to copy from Apple, it picked the dumbest one. 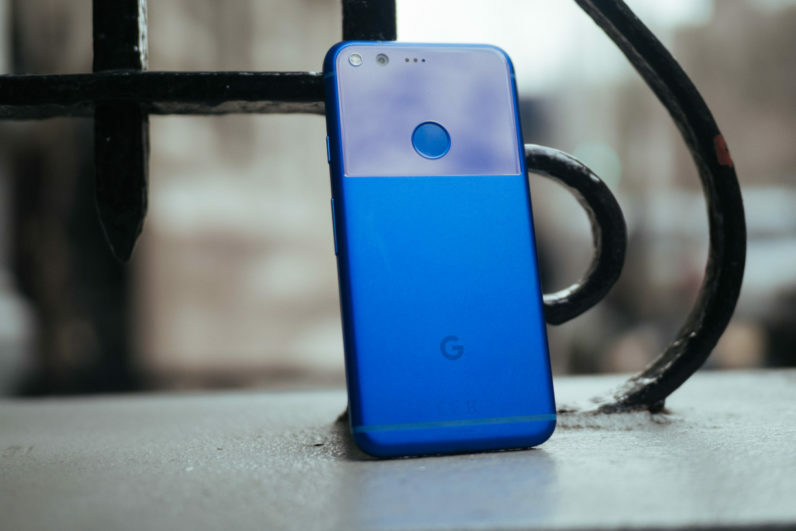 Unless Google is planning to sell the phone at a super-low price point – and if you don’t absolutely need a small-ish phone with stock-ish Android – the smaller Pixel is looking like a pass right now. Hopefully Google has something exciting up its sleeve, because as it stands the XL is the only one Pixel worth your attention – and cautiously at that.